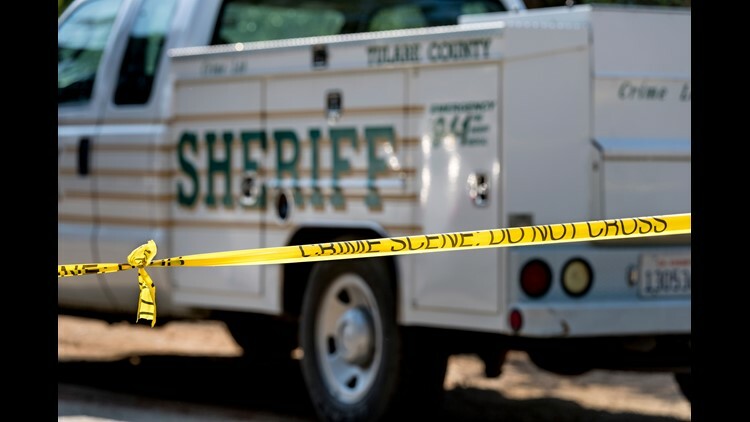 Tulare County Sheriff Department continues an investigation into a shooting in the 31800 block of Road 138 that left three family members dead late Wednesday. VISALIA, Calif. – Detectives are questioning a 13-year-old boy Friday after they say he brought two balloons filled with cocaine to a middle school, exposing more than a dozen students to the drug. Maricela Madrano arrived at the school to pick up her daughter for a dentist appointment. She was shocked to learn about the incident. Tulare County sheriff's detectives and medical personnel were called to the school around 8:30 a.m. after students reported finding two balloons filled with a "mysterious white substance." Initially, the school staff thought it was flour and were going to "wash it away." They called 911 as a precaution and dispatchers told them to leave the substance where it was, school officials said. Preliminary tests showed the students were not under the influence of the drug, Boudreaux said. A search of the student's home was also being conducted, Boudreaux added.